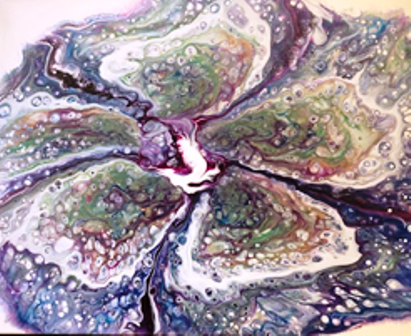 On Thursday, April 18th starting at 4pm to 7pm, we are excited to present up and coming local artist, Neville Tulloch and Karla from Kaville Original Fluid Art. 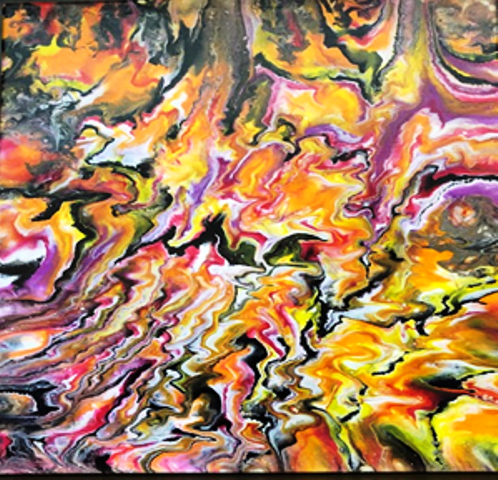 Each of their original art pieces has a vibrant combination of color, movement and whimsy. Remember to bring in your Art Walk Passport to earn FREE drinks at Tabby’s! Come meet the artists and enjoy some yummy treats and an interactive experience for all ages, as part of the Everett Art Walk. There is free parking behind the library with handicap access, until the library closes at 6:00 p.m. and this is a family friendly event. ALL ARE WELCOME!